The most important women in your life deserve VIP treatment. So, when we started planning for this very important day, WE WENT ALL OUT. Let’s celebrate our mothers, with a 6 Day Cruise to Jamaica, Cayman Islands, and Mexico. Don’t leave this special day for the last minute, instead leave the design of an unforgettable event to us! 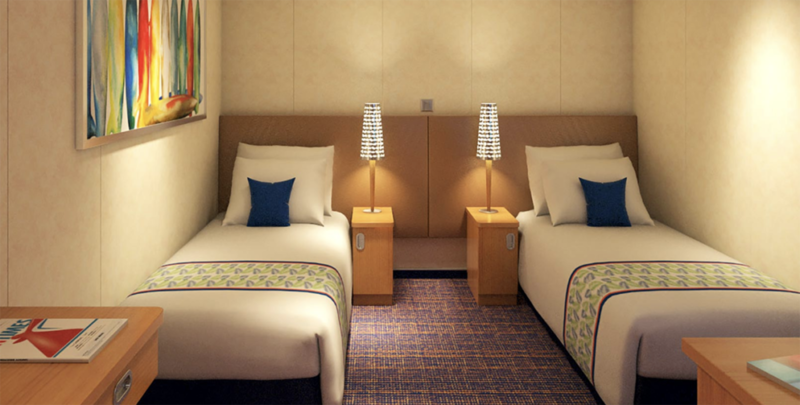 When the day comes, your ladies will be able to enjoy a relaxing cruise vacation aboard the BRAND NEW Carnival Horizon. We plan to pamper and cater to the superwomen in our lives in the most special way. They will have the opportunity to enjoy sunbathing, award-winning spa services, elegant evening dinners, top production theaters and many more state of the art amenities. Balcony staterooms are proof that while it’s great to be cruisey… on vacation, breeziness is a virtue too. 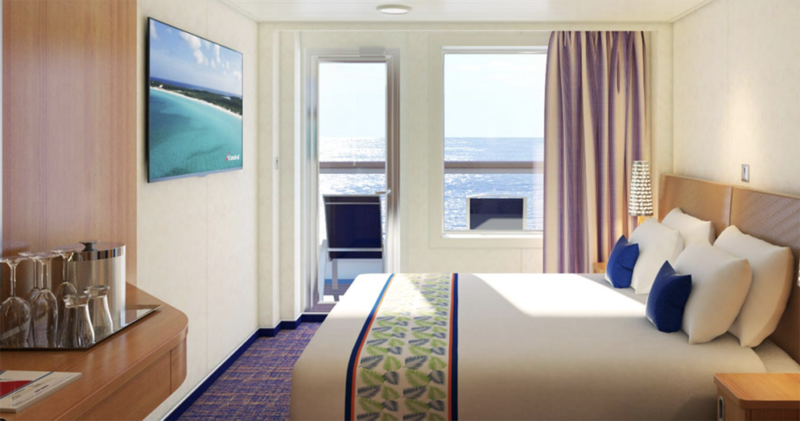 And any time you’re in your well-appointed Balcony stateroom aboard Carnival Horizon, you’re just steps away from the outdoors by way of your private open-air oasis. Designed for kicking back al fresco, you’re in for some amazing ocean views… views so stunning you’ll just have to feel ‘em to believe ‘em. Missing a vacation is bad enough. Losing the money you paid for your vacation is even worse. Trip insurance is therefore highly recommended. Please review carnival’s travel insurance here. Each person in a room will have his or her own bed. Couples will have one king bed. Traveling on a Carnival cruise requires a valid driver’s license and certified birth certificate or a valid U.S. passport. When making your reservations, you can choose to pay in full or select our convenient payment plan. If you select a payment plan, you will automatically be added to our auto-bill payment plan option. You can opt-out of this program by emailing us at info@thetraveldivas.com after you make your reservations. Please review our auto-bill payment plan option. If you choose monthly payment plan, you will receive monthly notices when your payment is due. Please note you should begin looking for flights 9 months before event. Some travel sites will allow you to set alerts to advise you when prices are dropping. You should purchase your flight no later than 30 days before the trip. We strongly suggest to find a flight to get you into Miami or Ft Lauderdale no later than 12PM. You should arrive to the cruise port and ship no later than 3PM. No exceptions! Provided full payment is received no later than your final payment due date, travel documents, itineraries and travel instructions will be sent via email 30 days or earlier prior to travel. All documents will be sent via electronic mail. It is the guests’ responsibility to notify Premier Travel One and Travel Divas of all email address changes. Men and children are welcome to attend this event at same price. Only Inside Cabins and Balcony Cabins are available for group booking. If you would like an Oceanview Cabin or Suite, please send an email to info@thetraveldivas.com and be prepared to make a $250 per person deposit (deposit fee can change). All of your payments to Premier Travel One and Travel Divas are non-refundable and non-transferrable. A valid passport is suggested but you can also cruise with a certified birth certificate. Once you make your reservations, you can log-in to our client portal to view your account 24 hours a day. Name changes are allowed with a $50 name change fee. Late payment of $100 per person is required after final due date. All late payment requests must be approved by management before the final payment deadline on your account. You are responsible to keep Premier Travel One and Travel Divas informed of email address changes as this is our primary way of communication.